A big thanks to Bass Pro Shops in Auburn...they asked customers to donate just $1 when they got to the cash register...and collected $11,006.73 for the Friends of Carpenter's Brook Fish Hatchery! The Friends are a 501c3 Not-For-Profit Organization. Donations will be acknowledged and are tax deductible. 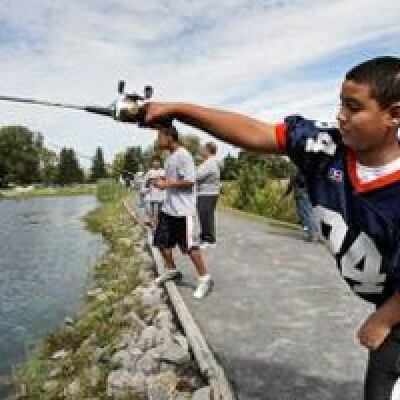 Did you enjoy a childhood where fishing provided memories to be relived in your children's eyes? Have you ever wondered about the life cycle of a fish...or watched their feeding frenzy when you drop a hand full of pellets in a tank? Do you still like to catch an occasional dinner the way your grandpa did...Do you want your grandchildren to have the same opportunity? The Onondaga County Federation of Sportsmen, along with the Friends of the Hatchery, support the efforts of Carpenter's Brook in a variety of ways. For more information about the Federation, visit www.federationofsportsmen.com.